Bite Down was just released a couple of days ago, but it has already become my favorite song. Don’t get me wrong, the sound of Bite Down has its ups and downs, but if you have followed this blog for more than a week, you may know that I have a soft spot for Bastille. 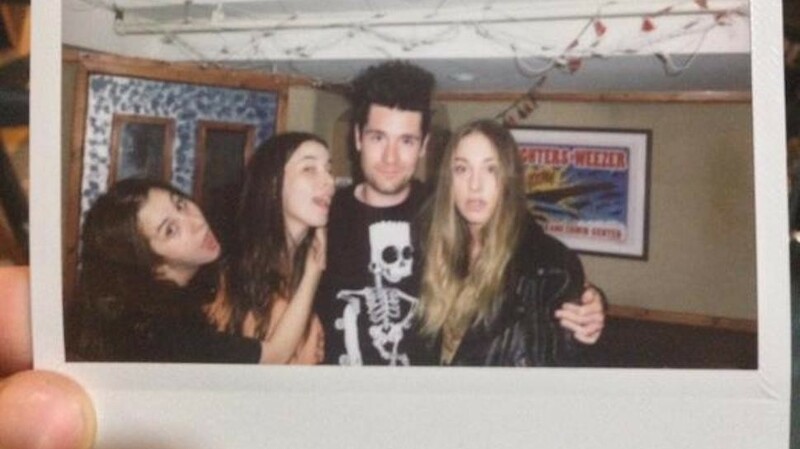 Bastille and HAIM met in a bar and ended up in the studio, creating this track and adding it to the mixtape Bastille is currently working on. This was one of my first encounters with the group HAIM, and I do want to hear more. The song sounds similar to Bad Blood in its style, but with a heavier synth tone. Overall, I would rate the song at 8.75/10. I really like this song, but the editing over the vocals can be excessive, and the lines are executed a bit roughly. I still recommend a listen, both HAIM and Bastille contribute to this song in a way where if it was without one, it would not feel the same. bad_news has been giving me googly eyes for the last two months, and I finally gave her a chance with a date after being guilted into giving her a second chance. The rest is history, you and me baby. While the song is a bit over-edited in the vocals, it is super catchy and the chorus remains stuck in my head like a – well, Bastille song. I have seriously praised the synth-pop/alternative/even rock sound of Bastille before, and tried to avoid saying too much about bad_news despite hearing it the day it was released due to my dis-satisfaction for the song. I have come to accept it’s synth-influenced sound and embrace our differences. In case you could not have guessed, The Driver is a song for the soundtrack of, you guessed it, Drive. I promised myself I would not write about anymore music today, but when I saw that Bastille unveiled a brand new song today, what choice did I have? Why do you do this to me, Bastille, I need to sleep sometime! So I will keep this brief and with as little sarcasm as possible. The Driver is a synth-pop influenced song that is shows effort from every band member (especially Will on guitar, who provides some serious excitement to this track). You will probably remember that Drive features another song of interest, the CHVRCHES Get Away. This soundtrack looks impressive, but let us focus on Bastille’s contribution to this movie’s score (a group who many said did not belong on this soundtrack, at whom I laughed and shunned miserably for being arrogant fools). Dan sounds like the usual Dan Smith, if you did not like his voice before then not much has changed. It is his signature voice, featuring the beloved high snyth-influenced hook. However I have little complaints with the song other than how chaotic it gets by the end of the hook. So I promised myself two things, both of which I broke: First, I would not write anymore tonight. Caffeine will be my friend tomorrow though. Second, I would try and stick to writing about lesser-known artists for the next few days. I know of late I have been informing listeners of people they already know of in a time when I am trying to find new artists all over the place. However, I know that Bastille is one of those groups that even the most pretentious hipster can enjoy. P.S. Oh yeah, I said I would keep it short. That did not happen, sorry. Also, this could be considered a “Hear It First” for being released within the last several hours. It just so happens that I really like it and cannot stop listening to it so I consider this 400-word wall of text a recommendation. Generally most people know who Bastille is. “He’s the guy that sings that song Pompeii right?” Well, yes, the BAND sings Pompeii which happens to be a good song. But you haven’t even scratched the surface of this group unless you’ve heard their other works. Bastille are a British rock/pop group from London, forming back in 2010. They were a breakthrough sensation last year but many of their songs are greatly underappreciated. Singer Dan Smith has a cast of Kyle Simmons, Will Farquarson and Chris Wood performing with him in Bastille and together they first released their debut album Bad Blood, following it up with bonus tracks on All This Bad Blood. They recently released their first song for their next album, bad_news, and plan to keep the sound that go them famous in their upcoming music.